August 14, 2015 Contact Author	Lisa Jenks, M.D. Some estimate non-surgical esthetic procedures to double in the next five years. According to the American Society for Aesthetic Plastic Surgery, over $5 billion was spent in the United States on non-surgical esthetic procedures in 2013. Of that, approximately $2.5 billion was on injectables and $1.9 billion was on facial rejuvenation.2 It may be time for some spa managers and owners to consider adding medical-grade products and services to their menu. The first step in adding medical esthetics to a spa needs to be hiring a medical director. Familiarize yourself with the laws in your state. Some states require medical directors to be on-site, while other states are happy with minimal supervision. Compensation for medical directors is variable. Many are happy collecting a set monthly fee of $1,000–2,000, especially if only minimal supervision is given. Others expect a percentage of the income generated by the procedures they are supervising. Some medical directors are interested in doing the procedures such as injectables and lasers themselves, while others only want to supervise. Start your search by asking friends/family/existing clients if they know a physician who would like to earn some extra income and is interested in skin health. This physician does not have to be a dermatologist. Any doctor of medicine (M.D.) or doctor of osteopathic medicine (D.O.) can become certified in medical esthetics, regardless of their background. Next, think about what services and products will be initially offered. At a minimum, I recommend injectables. These include neurotoxins such as botulinum toxin type A and abobotulinum toxin A and fillers such as hyaluronic acid gel and calcium hydroxylapatite gel. If the medical director is not going to do these procedures, a registered nurse or physician’s assistant will need to join the staff. Start by scheduling injectables only one or two days a week and build from there. Beyond offering injectables, it is a good idea to have at least a few laser procedures, such as laser hair removal and intense pulsed light (IPL) to remove brown spots. The laser will need to be purchased by the medical director, but can be an excellent source of income for both the physician and the spa owner. Lasers can be operated by estheticians after undergoing the training, so laser procedures are easy to schedule any day of the week as long as the certified esthetician is working. Good laser companies offer training with the purchase of their equipment. In addition, many laser procedures have little to include with no disposable costs, so the more you the laser runs, the more income is generated. Once a medical director is on staff, higher grade peels, i.e. TCA, 70% glycolic, etc., can be provided. In addition, other treatments can be added such as more aggressive microdermabrasion, triamcinolone acetonide injections, micro-needling treatments and ultrasound skin tightening treatments. The esthetician will truly be able to approach their client’s skin from a multi-pronged point of view by stimulating collagen production, improving loss of volume, minimizing lines caused by muscle movement and significantly improving texture, pore size and sun damage. Medical-grade skin care products can only be purchased if a medical director is involved. Medical-grade products have a higher percentage of active ingredients and usually have research studies showing their efficacy. Adding these products to a spa will allow clients to achieve better results with their skin care and result in a happy client. As we all know, happy customers create repeat business, as well as referrals. Start with two product lines for at least eight-10 months. Afterward, a third product line can always be added to fill in any existing gaps. Make sure all staff, including receptionists, have basic product knowledge. Once you decide upon what services and products you will introduce, explore additional insurance coverage. Usually, the medical director and injectors provide their own malpractice insurance. Spa owners will most likely need to cover any estheticians who are performing medical esthetic services. In addition, spa owners will need additional coverage for liability. Finally, spa owners will also need coverage for any equipment stored at the spa, such as lasers. If your spa begins doing medical-grade services, you will have to follow the Health Insurance Portability and Accountability Act (HIPAA) guidelines. With the addition of medical esthetic procedures, a spa needs to keep charts on all clients who receive these services. All clients receiving medical grade treatments need to complete medical history and skin assessment forms. The reps who sell the neurotoxins, fillers and lasers can supply you with consent and treatment forms. Be sure the entire staff, not just the medical estheticians, are versed in HIPAA. For example, the receptionist needs to know what information can and cannot be divulged over the phone. A system for managing charts will be required. Identify the person who will be in charge of creating new client charts, filing charts once they are completed and making sure the medical director sees all charts. To be competitive in this market, a software system will be needed, allowing you to capture all your clients’ e-mails so you can blast them with regular newsletters, invitations to events and notifications of specials. Relying on word of mouth is variable, and regular mail is expensive. Men and women who pay for these higher priced procedures expect an experience. By this, I mean they want to feel the $1,500 they just spent getting filler put in their face includes the experience of being pampered. Offer clients a beautiful, luxurious facility, a drink and a gift when they leave. Provide a makeup bar, so clients do not have to look as though they underwent treatment. There are many places where customers can receive filler injections. Make sure the one they receive at your spa is a complete, luxurious experience. Once you committed to adding medical-grade services and products, get the word out in fun, exciting ways. Have a soft opening two to four weeks out, where all existing spa clients are invited to take advantage of special savings. This allows you to work out the kinks before a grand opening. Speaking of grand opening, plan on a grand opening where you provide good food, drinks and drawings for door prizes. The latter allows you to capture the contact information of everyone who attends. Offer incredible savings during the opening to entice attendees to want the one-time advantage. Organize fun events, such as a filler night where clients can bring girlfriends and get a great deal on their filler or an event that is all about the eyes and includes makeup tips, discounts on skin tightening procedures around the eyes and discounts on neurotoxins in the crows’ feet. Girls like to have fun. If you create a business that gives them a fun, pampering experience, they will be your clients for life. Also, don’t forget today’s clients use the internet to find spa services, so you will also need an attractive website, maximized to reach the top of search engine’s lists. The addition of medical grade procedures to your spa can be fun, rewarding and profitable. Clients will see better results and your spa will have a more robust service menu. Spa owners and estheticians will enjoy the stimulation of performing a greater variety of procedures, most of which can generate significant income. 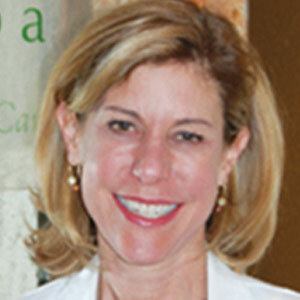 Lisa S. Jenks, M.D., began her medical career as an emergency room physician. In 2007, she opened Genesis MedSpa, a medical spa in Colorado Springs, Colorado. Recently, Jenks started Genesis Consulting to help spa owners and other physicians open successful medical spas. Reach her at lisa@genesis-medspa.com or 719-579-6890.